Well hello! My name is Ember. I am so photogenic and love to have my photo taken. 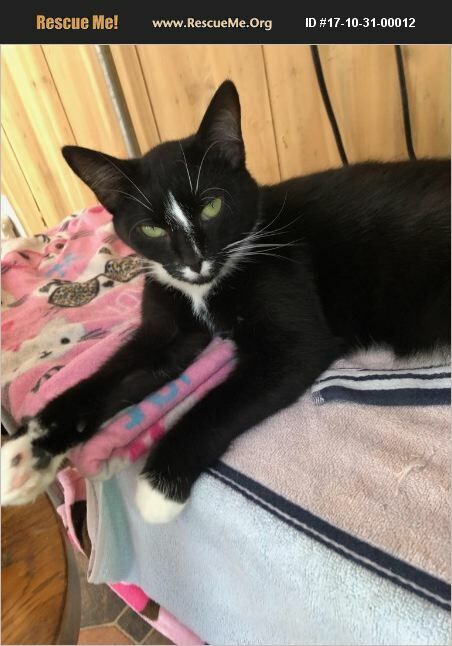 I sure am a tuxedo beauty looking for a new family to love. I am approx 8 months old, spayed, dewormed, microchipped, tested negative for Felv/Fiv, and healthy. If you want to help me with my modeling career and want to love me forever, please contact Rescue Angels and they will get you in touch with my agent.